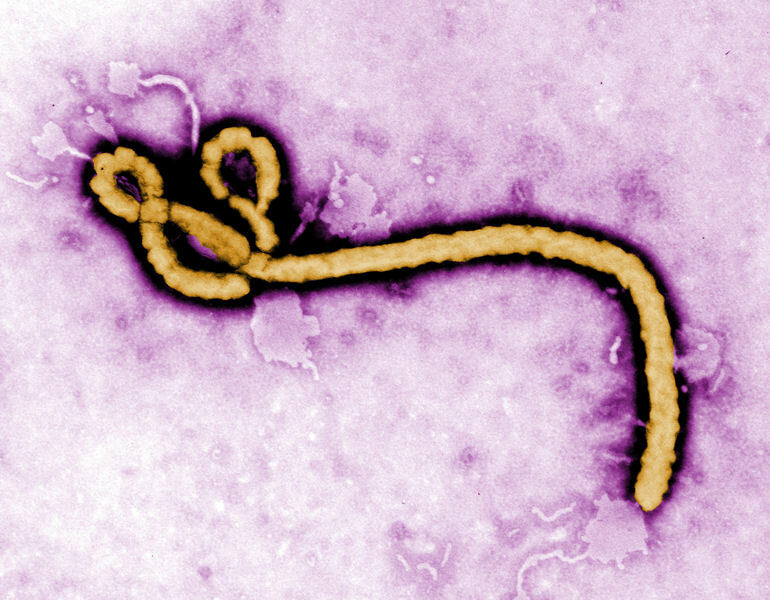 This colorized transmission electron micrograph reveals some of the ultrastructural morphology displayed by an Ebola virus virio. Photo courtesy of Frederick A. Murphy, Center for Disease Control (CDC) Ebola Outbreak 2014 Press Kit. On Feb. 24, the Water Environment Federation (Alexandria, Va.) hosted representatives from the Centers of Disease Control and Prevention (CDC), the California Association of Sanitation Agencies (CASA; Sacramento, Calif.), the National Association of Clean Water Agencies (Washington, D.C.), the Water Environment Research Foundation (WERF; Alexandria, Va.), and other stakeholders for a dialogue on Ebola-related issues in the wastewater sector. The discussions centered on several ongoing Ebola research studies being conducted by the U.S. Department of Army at Fort Detrick, Md., and the National Institutes of Health (NIH) as well as other studies being initiated by WERF in conjunction with NIH, CASA, the University of Pittsburgh, the University of North Carolina‒Chapel Hill, and Drexel University (Philadelphia). Protocols for responding to an Ebola outbreak in the U.S. as it would relate to wastewater also were discussed with a focus on how the sector can work together to improve the response in the future. 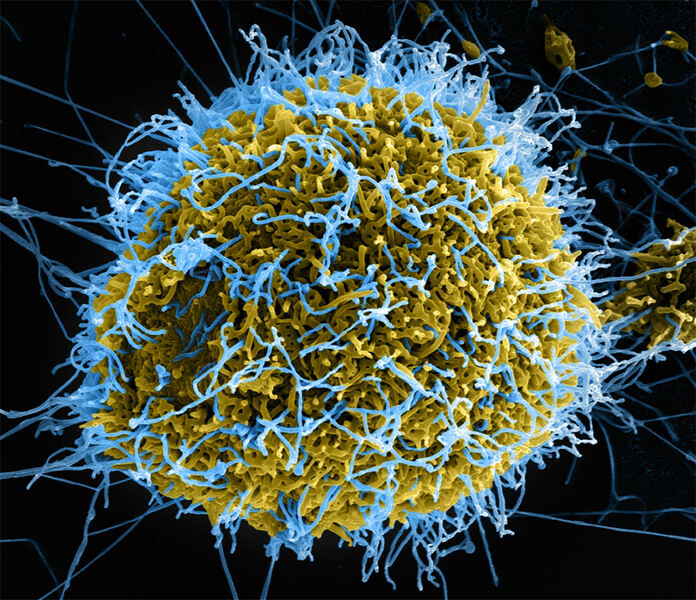 Produced by the National Institute of Allergy and Infectious Diseases, this digitally-colorized scanning electron micrograph depicts numerous filamentous Ebola virus particles (blue) budding from a chronically-infected VERO E6 cell (yello-green). Photo courtesy of the CDC Ebola Outbreak 2014 Press Kit. Discussions identified worker safety as a major concern. The wastewater sector wants to make sure that the CDC interim guidance document released in November 2014 is updated to properly address that issue. The wastewater sector also is concerned with wastewater workers coming into contact with untreated wastewater potentially contaminated with Ebola virus from hospitals that are treating Ebola patients. The sector is concerned with how to communicate protocols and procedures to utilities and the public. CDC has posted a CDC frequently-asked-questions document addressing a number of these issues, however, the wastewater sector and CDC agreed that it could be improved. WEF plans on coordinating a follow-up with CDC with suggested revised language for the CDC interim guidance.